← Really? A Water bottle! Okay, I have been seeing the link for the article “Books After Amazon” by Onnesha Roychoudhuri on the Boston Review site. It took me a couple of days to build up the curiosity to read yet another negative article about Amazon and Kindle. I was not disappointed. After reading the article at the Boston Review, I tried to post my comments. I thought it odd that there were no previous comments, but I had no problem being the first. But my question was soon answered. The text box welcomed you to offer your comments, but the faulty Submit button robbed you of however many minutes in your life it took you to write your thoughts. So below, I have posted what I wanted to say at the Boston Review site. It always amazes me to read these articles quoting publishers. How are those publishers chosen? Why don’t these articles ever talk to publishers who are happy with their relationships with Amazon. Amazon has saved my business. When Indy stores refused to carry our books or treat our authors with any respect, Amazon was there for us. We don’t complain about the discounts. We don’t participate in their co-op things, and yet we have never been harassed or threatened. Just what does a publisher have to do to be noticed. 10 years in this business and not one single organization has ever asked our opinion on anything. Funny…only the unhappy ones get the press. I would like to offer you a challenge. I have a book in print and in eBook format. I challenge you to go to your local bookstore and buy a copy. 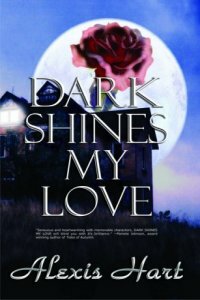 DARK SHINES MY L OVE by Alexis Hart. If you are able to find it on the shelf and purchase it at that time (meaning it was on a shelf in any store), I will send you ANY eBook in our (Echelon Press) catalog FREE once you prove to me you made the purchase. For those of you unable to find it on any shelf in America and would still like to read this remarkable book (okay, subtly isn’t my strong suit) you CAN purchase it IMMEDIATELY at Amazon.com. This entry was posted in Blatherings, Business, Just for Fun, Marketing and tagged alexis hart, amazon, author, books, bookstores, change, ebooks, Echelon Press, karen syed, kindle, publishing, readers, sales. Bookmark the permalink. Karen, thank you for the balanced look at our crazy industry. In my experience one of the greatest cheers for indy bookstores comes in the area of book signings. Much easier to get the attention of an indy than a big chain. But, hey, all (chains, indies, Amazon, etc.) carry my books and I’m thrilled to do anything I can to help anyone. And if anyone wants to stand on a street corner and wave them I’ll furnish a thermos of hot coffee. But my point is, this is HUGE industry. There’s room for everybody. Nobody needs to bash anybody. How naive will I sound if I mention that bumper sticker we all seem to be seeing on cars these days? I adore bookstores. Independents, of course, but chains are fun, too. Any place filled with books is a place I like. But of course, no bookstore can offer every choice–or even the choices I want. Until a book from a small press becomes very well known, it’s unlikely to find its way into a store, not without a lot of help from the author. With a novel on submission now, this subject is of very pressing concern to me. 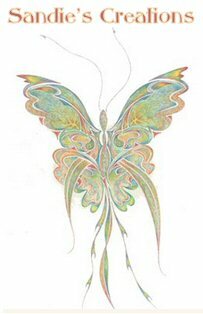 I would love the bookstores and Amazon to support my work. Unfortunately, Jenny, indy bookstores will probably be the least of your sales. They complain about Amazon only looking to the bottom line, but that is what their entire argument is based on. They want to have the market share, but Amazon has the money and the balls to earn it. They haven’t stolen it, they have earned it by giving the people what they want. The only person you can rely on for your book sales is YOURSELF. Everything else is hard fought for. But when you get it, it feels fantastic!! Patricia, it is a shame how many authors this has happened to. I have an author who I read for years and she was emotionally raped by her NY publisher. I am blessed enough that she has agreed to let me reissue her previous titles through Echelon. I used to love reading paperback books and the occasional hardback. But now that I have an ereader, I find I read mostly ebooks. I also listen to audiobooks in my car as I have a 60 minute commute to work. Amazon and Kindle have opened up a whole new world for me and others and am glad I live in this time in history. Thanks Karen. I also have been following Scott Nicholsons blog and he has some interesting ideas about the ebook revolution. What cracks me up is how all these articles consult only big publishers, who HATE Amazon, and never bother to interview authors. For many authors, Amazon has been a boon and a big boost financially speaking. We all know authors who have experienced surprising success with Amazon, so I’ve decided to go that way. Instead of murky accounting and only getting paid twice a year by my major publishers, only the money never comes when it’s supposed to because my former agent always seems to take herself out of the country come royalty time, I will get paid every month once I post my series of informative, non-fiction medical books on Amazon in 2011. So I’m done with big publishers, and I don’t care if people look down their noses at me. For me, Amazon represents the freedom to get books in front of people that will help them improve their health, without me having to jump through the hoops of fire that publishers put up, and without having to expose myself to their disdain about my very solid credentials. My sole fault in their minds is that I am not a doctor, but I never wanted to be a doctor. I wanted to be a medical reporter and I’m a darned good one. New York wanted me, my talent and my skill, but they always gave the credit for my work to some doctor who spent an hour reading the manuscript. No more, thanks to Amazon. And no more $30.00 inch-thick tomes that no one wants to read, and few can afford anymore. My books will be $4.99 so that everyone who needs one can afford one. Keep up the fight, Karen. I follow your efforts and comments with interest over on MMA. Well, OK, Karen, Amazon is a mixed blessing. Assuming that the facts are as stated in the article, the people at Amazon, meaning mostly Jeff Bezos, (parenthetically it amazes me that everybody seems to assume these corporations are single folks, instead of collections of people) have a good deal to answer for. The good folks at Amazon also provide really good service most of the time, get blamed for stuff not their fault, and are trying to do what folks at most corporations in and out of publishing do all the time. Namely trying to drive competitors out of business and improve their market share. Nothing new about that. Now please, I don’t wanna read about how Capitalism is the Bane of Our Existence. Anybody who studies these systems knows that the best and most efficient form of commerce fort all concerned is a benign dictatorship.